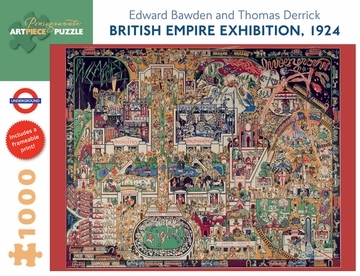 Edward Bawden (British, 1903–1989), a successful and prolific illustrator and graphic designer whose commissions included designs for posters, books, ceramic decorations, wallpaper, textiles, and murals and who also taught graphic design at the Royal College of Art, designed posters and ephemera for both the Underground Group and London Transport for over a quarter century. Artist and illustrator Thomas Derrick (British, 1885–1954), best known for his mural and illustration work, also painted portraits and designed stained glass. He produced posters for the Underground Group from 1924 to 1927. 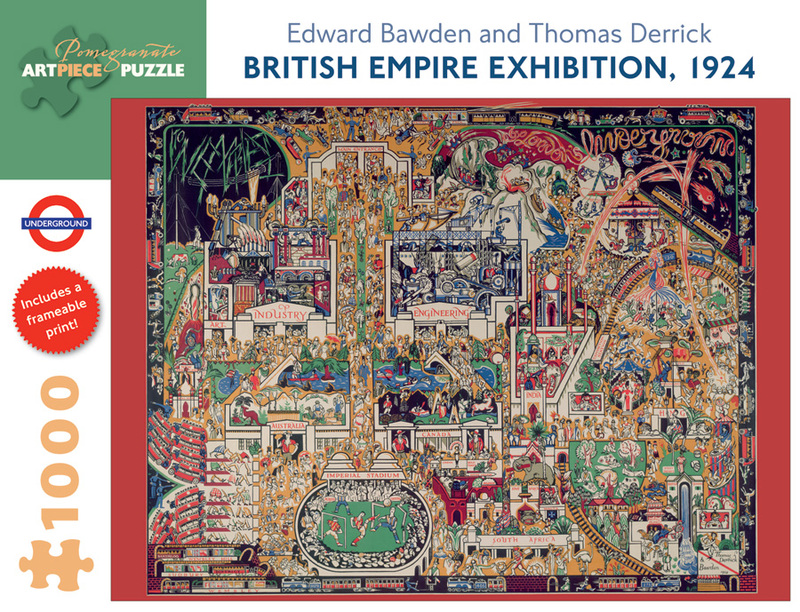 The poster reproduced in this jigsaw puzzle is from the London Transport Museum, one of the finest poster archives in the world. For a century, copies of every poster produced for the Underground were kept, and when the collection was transferred to the Museum in the 1980s, it contained more than 5,000 printed posters and almost 1,000 original artworks. Steadily growing since then, it now offers a uniquely comprehensive overview of a century of British graphic design.